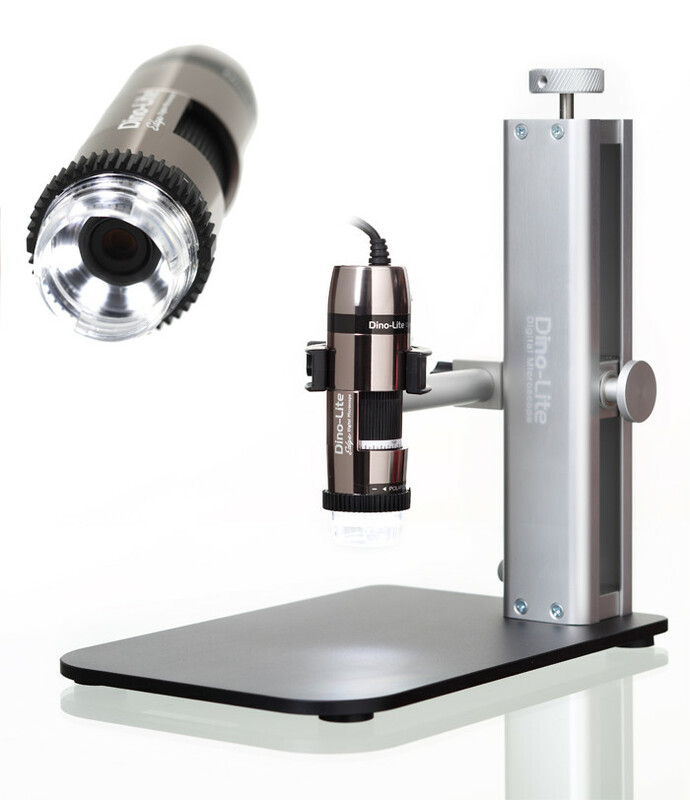 Special MST-R tripod for Peak 2034-CIL, 2064-CIL and Cellcheck CIL series microscopes. The coaxial illumination limits the focussing range of the CIL microscopes. The legs for the support rollers are adjustable laterally to maintain the working distance for all interchangeable lenses. The MST-R is a special model with rotating support rollers. An alternative stand is available with X axis adjustment, MST-X .